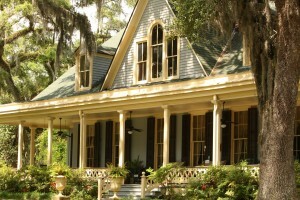 Need Better Prices on Home Insurance in Lafayette Louisiana? Call 337-824-4455 and speak to the home insurance specialists at Jeff Davis Insurance or use our online rate quote system when you click Homeowners Insurance Lafayette La. In a previous article, we discussed the difference between replacement cost and market value and how there can be a huge difference between an actual cash value settlement and replacement cost settlement! Today we are going to discuss reasons why the market value of your home is usually not even close to the cost to rebuild when purchasing homeowners insurance in Lafayette Louisiana. Why Market Value Does Not Equal the Cost to Rebuild? There are several reasons. Homeowner’s insurance policies are designed to rebuild or repair the home using like kind of materials and quality of construction. The market value of a home does not necessarily reflect what it would actually cost to rebuild a home exactly as it is in its present form using like kinds of material and quality of construction. For instance in new construction it’s common to use only drywall which is relatively inexpensive, however the home you are living in (dependent upon its age) may have plaster walls which is still available but costs considerably more than drywall. In addition there will also be increased labor costs, in some cases by a significant amount. If your home was built 50 years ago or more, contractors are paid far more money today compared to back in the 50’s and 60’s. For instance the average hourly wage for construction workers in 1950 was $1.60 per hour. Today it’s an average of around $15 per hour or a 900% increase in labor cost. These factors in addition to compliance with new building codes and local ordinances make it impossible to rebuild a home exactly as it was prior to a catastrophic loss based on the market value. For this reason insurance companies require you to insure your homes at the replacement cost and it’s an excellent idea for you to review your homeowner’s coverage each year to make sure you do not fall below the 80% level. We Can Help When Shopping for Homeowners Insurance in Lafayette Louisiana. When you speak with one of our licensed agents we will complete a replacement cost estimate to help you determine if you are under insured. Taking this step can save you a significant out of pocket expense in the event of a catastrophic loss. This entry was posted in Louisiana Home Insurance and tagged Auto Insurance Lake Charles, Contractors Insurance Lake Charles, Home Insurance in Lafayette Louisiana, homeowners insurance in Lafayette Louisiana, homeowners insurance Lafayette La, Homeowners Insurance Lake Charles Louisiana. Bookmark the permalink.